The Moticam 1 and 1SP are ideal for schools or small laboratories. With live resolution of 800x600 or 1.3MP use these cameras with Interactive White Boards for integrated teaching. Ideal and affordable start into digital microscopy. Moticam 1080 is in a class of its own. This camera does not require a computer for standard operation once it has been set up on a microscope. Images can be captured directly to a SD card at both 2MP and 8Mp. 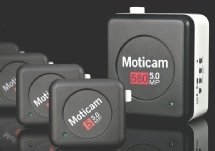 The Moticam X, with built in WiFi making it idea for use on the move with Laptops and Pads too. And using the free ‘App’ download also lets you use it for imaging and basic measurement on your android or iPhone. 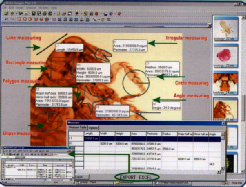 Motic’s new Images Plus 3.0 the multi language image analysis software is your entry ticket to the digital world of microscopy. Many years ago this software was introduced as a 'basic' software for image capture and storing them. Now Motic Images Plus 2.0 is far from basic!. 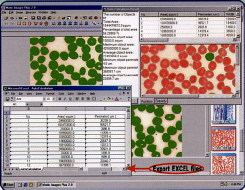 With the help of many moticam users it has become a highly sophisticated image analysis software package with the following main functions, measuring, particle counting, capture. .Companies represented are ISO 9001 compliant . All products are CE certified. Copyright 2013 Microscopes Plus Ltd.